Christmas dinner doesn't have to mean spending hours over a hot oven—not when you have a slow cooker to help you prepare the meal! These Christmas crockpot recipes are a great way to reduce the amount of time you spend in the kitchen during the holidays while still delivering an impressive meal. We've included a number of fabulous options here for each course of your Christmas dinner, including starters, side dishes, mains, and desserts that will make your holiday table shine. You can use multiple slow cookers borrowed from friends or family to pull off your crockpot Christmas meal. Or, you may wish to make some of the courses ahead of time and refrigerate them, then reheat in the oven when you're ready to serve. 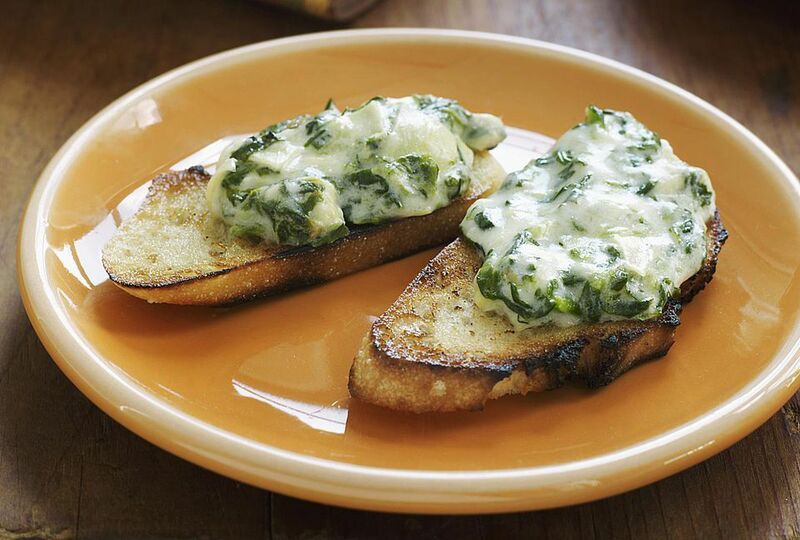 This savory spinach dip is super easy to prepare in the slow cooker—simply melt together the cream cheese and heavy cream, then toss in the frozen spinach, Parmesan cheese, and seasonings. Pimientos add a mild, sweet touch, making it perfect for Christmas parties and dinners. Split pea soup is pure comfort food and for many, a favorite way to start the Christmas meal. This easy, affordable, stick-to-your-ribs soup is surprisingly easy to make at home. All you need is a slow cooker, a ham bone or ham hocks, peas, and a few vegetables. Tangy, savory cranberry meatballs are always a favorite at Christmas dinner and the recipe can easily scaled up for holiday parties. If you bring them to a Christmas potluck, serve them straight from the slow cooker, with small plates, napkins, and toothpicks for spearing. Oyster stew is a traditional Christmas Eve recipe. This special-occasion bowl easily comes together in a crockpot, so you can wrap gifts, trim the Christmas tree, or just sit and relax while the slow cooker works its magic. Beef brisket cooked low and slow is not only stomach-warming at holiday dinners, it fills your kitchen with wonderful, homey aromas. The onion soup mix and spices in this genius crockpot recipe give the sauce fabulous flavor. Yes, you can make delicious turkey and stuffing in your slow cooker! This perfect for Christmas (and Thanksgiving) all-in-one turkey and dressing meal requires only four ingredients, making it one of the simplest holiday recipes ever. Boneless turkey breast and prepared bread or cornbread stuffing mix are combined with chicken broth, a bit of butter, and optional gravy, to create a one-pot entree. No Christmas dinner would be complete without a Christmas ham and this one simply calls for reheating a fully cooked one into your crockpot. The ham slowly simmers with crushed pineapple, apple jelly, and a few warming spices to create a juicy, meaty, and fruity holiday main. Chicken or turkey pie makes a beautiful addition to your holiday dinner table. This homey recipe uses a slow cooker to prepare the filling for a traditional savory pie. Then, you bake the filling in a store-bought refrigerated pie crust for an impressive looking entree. Juicy braised pork loin makes for a wonderfully festive entree. This crockpot pork is seasoned with garlic and herbs, along with a little white wine or chicken broth, and tossed in the slow cooker for an easy preparation that yields tender meat. Add this simple, yet tasty turkey with white wine and garlic to your list of crockpot favorites for the holidays and beyond. White wine, garlic, and fresh parsley help turn succulent thighs into an elegant entree. 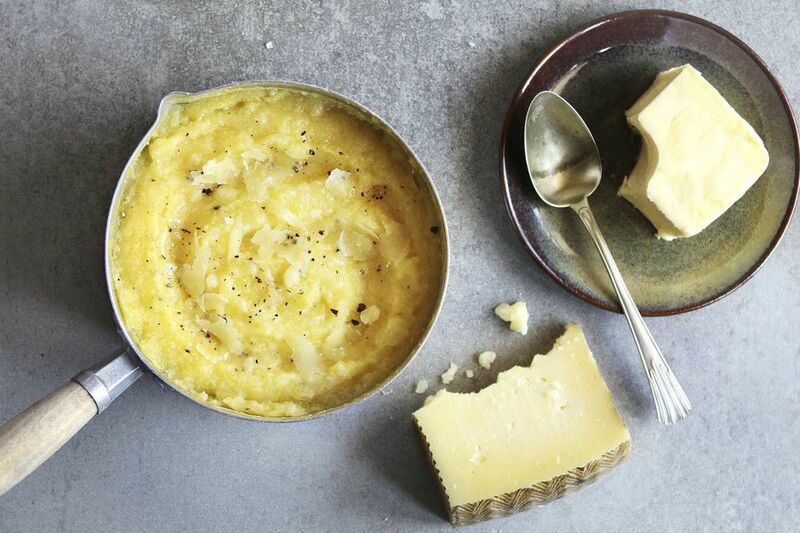 Polenta makes a wonderful accompaniment to saucy braised meats, such as slow cooker brisket or braised pork. In this luxurious-feeling recipe, creamy ricotta cheese adds richness without a lot of fat, while Parmesan cheese gives it depth and complexity. Cranberry sauce is a Christmas dinner essential and this fresh slow cooker version is perfect when you're short on stovetop space. With only four ingredients and a small amount of water, it takes just minutes to prepare, and you still get to enjoy the comforting taste of a homemade sauce. Savory scalloped potatoes are a fantastic side dish for turkey or brisket. These creamy, cheesy spuds are prepared in the slow cooker with mushrooms and ham, which makes them especially convenient when you've got other dishes taking up space in your oven. A simple root vegetable side dish pairs well with just about any Christmas entree. This recipe calls for ham, but you may leave it out if you prefer a meat-free side dish. Cheesy broccoli casserole makes a great side dish for your Christmas table. Combine broccoli, condensed cream soup, cheese, and a buttery cracker crumb topping right into your slow cooker and let it do all the work. Looking for an indulgent chocolate dessert to end the night? This gooey pudding cake is guaranteed to be a crowd-pleaser and it's simple to mix and prep in the slow cooker. Enjoy it on its own, or topped with whipped cream or vanilla ice cream. What would the holidays be without Christmas fruitcake? Save time with this slow cooker version, which uses a packaged cake mix, spices, and an abundance of dried fruits and nuts. Enjoy it after dinner, or package it up for Christmas giving! Homey and comforting, this crockpot apple brown Betty is a true holiday winner. Include it at your Christmas meal this year, served with whipped topping or ice cream. Baked apples make a comforting, homey dessert on their own, and are even better spooned over ice cream. Enjoy them after your Christmas dinner with an easy crockpot recipe that uses only five ingredients. This fragrant holiday crockpot recipe delivers hot, spiced wine for a sweet ending to your Christmas meal. Dry vino is the secret to making great mulled wine. Cinnamon and citrus peel add lovely depth of flavor, and can be removed before serving, or left in the glass or mug as garnishes.